A stylish tote for the office is an essential for me. Since I am always running around between the office, court, and meetings I need a handbag big enough to carry all of my things but it also has to look chic and work appropriate. A great work tote is worth an investment because you will get so much use out of it. This beautiful Saint Laurent tote is currently at the top of my wish list. I really like the grey purse. Have a great weekend. 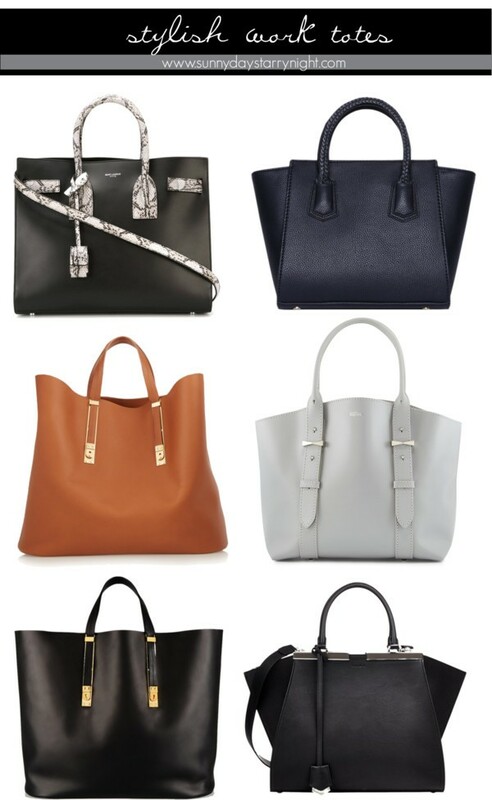 These are so pretty especially the brown tote; I love it.